The Secrets That Make A Man Connect With You On A Deep Emotional Level. Because Most Men Don’t Know What Makes Them Bond With A Woman. Seriously: The average man can’t tell you about his emotions and what he’s feeling. He just knows how certain women make him feel. Therefore YOU are the one with all the power…if you understand the bonding codes that make a man crave being with you all day long. That’s why men can’t “just tell you.” It may not be fair, but for those women who understand men it gives them an almost unfair advantage over every other woman. But Now You Can “Crack the Code” On What Men Are Really Thinking So You can Make Him Feel that Special Connection with you and ONLY You! 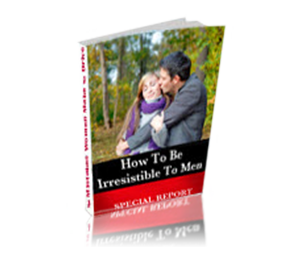 Now You Can “Crack the Code” on What Will Make A Man Feel that there is Truly “Something About You,” even though he won’t know what you’re doing. How to be mega-attractive to a man – even if you’re not his type! If You’re Ready To Finally Have The Deep Connection With The Man You Deserve, Then Sign Up NOW for Your FREE Report!